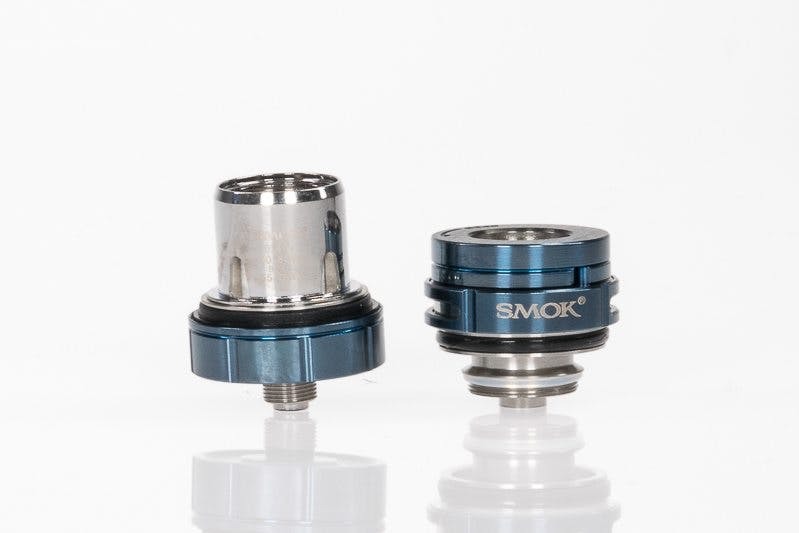 Did you think SMOK was ever going to stop? Hell no! They have only been grinding harder. 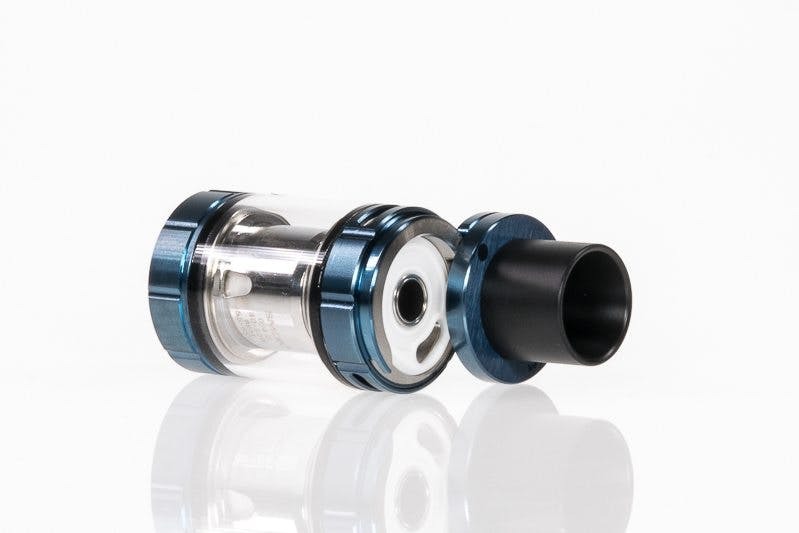 Today we’ll have a look at the TFV8 X-Baby, the latest edition to the family. My first thought was, “WHY!?”. The Baby Beast works fine, why would they change it? Upon further inspection, I see what they did here… Imagine the Baby Beast, but with top airflow, instead of having it on the bottom. You got it, brother! It’s a boy! Oh wait, it’s a sub ohm tank. Another one!? You know how SMOK gets down. They take no breaks when it comes to improving their already successful line of products. Today we have the latest edition to their family called the X-Baby, otherwise known as the SMOK TFV8 Baby Beast Brother… Say hello to your new baby brother. Did they really need to improve the Baby Beast? Probably not, but if you like top-airflow, this one’s for you. The question becomes, how will this airflow system impact flavor and vapor production? More importantly, how does it compare to the original TFV8 line, and other tankson the market? SMOK seems to have stepped up their game in terms of machining. The X-Baby feels a bit sturdier than the previous TFV8’s I’ve tested. The top-fill portion is identical, but seems to lock into place a little better than the original Baby Beast. A minor improvement that is surely worth mentioning. The airflow control is firm, yet easy to adjust. 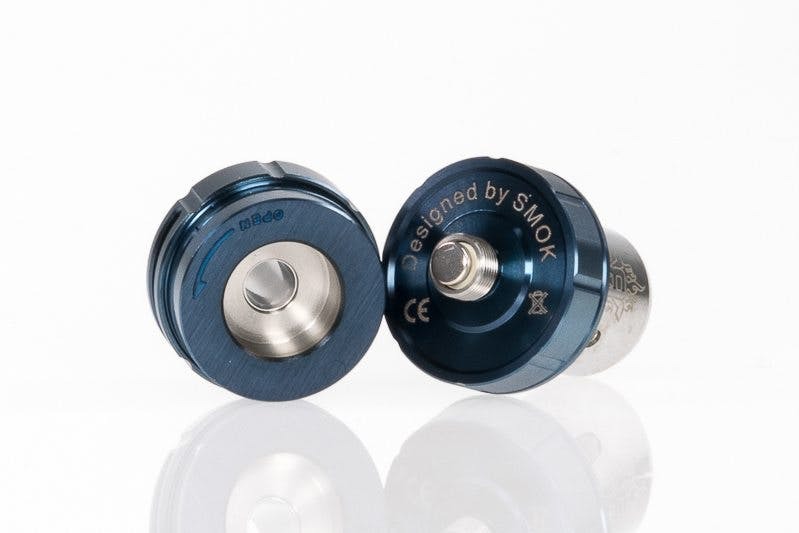 SMOK engineered the perfect balance with this one, and made it possible through expert machining. They didn’t just slap on top-airflow, they made it better. Unfortunately, the tank is incompatible with the original Baby Beast coils, but hey, C’est la vie. Other than that, the only issue I’ve found is that the included drip tip wasn’t so easy to remove. You’re probably wondering, well, how does it vape? I wish I could say it performs just as well as the original Baby Beast, but that would be a lie. The flavor and cloud production is on par with the rest of the TFV8 line, however the performance was rather wonky to be honest. I was getting dry, funky hits on the X-Baby, with both pre-built coil heads, running it on the lowest wattage recommendations. The flavor is superb one minute, but then it will cut out randomly, not just when chain vaping. There were moments where I would get a dry hit on my first puff! I never had this sort of issue with the Baby Beast. It boggles my mind why SMOK would take one of their best products, and make it worse. Once I installed the RBA section, it was a whole different story. As a rebuildable atomizer, this thing is great. As a sub ohm tank, not so much. I would recommend the Baby Beast over the X-Baby any day. 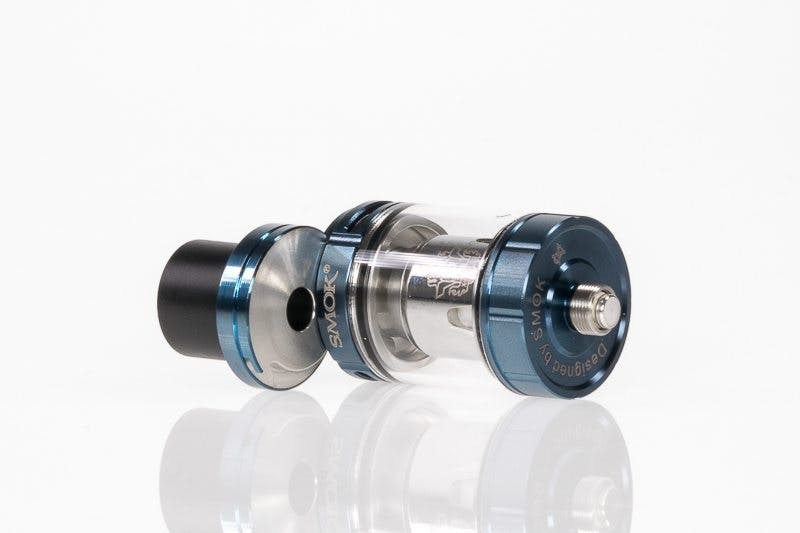 However, if you want a rebuildable tank that also takes pre-made coil heads, it might be for you. Just as I was about to give up on this thing, I popped in the RBA head and see how it compares. I’m glad I did, because now I am in love. The flavor is on point with some of the best RTAs I’ve tested. Building on the velocity style deck was effortless, and I didn’t have to do anything special to wick it. It is always recommended not to stuff too much cotton into the wick holes. It also helps to cut your wicks in a diamond-shape, so that they are tapered on the ends. I didn’t do any of that. In fact, I used too much cotton on purpose, just to push its limits. I have yet to get a dry hit while using it as an RTA. It even came with pre-installed 0.38 Ohm dual-Claptons, which happens to already be my go-to build. I don’t even know what to say. As a sub ohm tank, the X-Baby isn’t terrible. But If you like to take long puffs, especially at higher wattages, you probably won’t be satisfied with it. Unless you absolutely NEED top-airflow, it’s more of a downgrade from the original Baby Beast series than anything. Sure, the new airflow system prevents leakage, but that was never an issue for me with the original. The top-airflow doesn’t enhance flavor or clouds, although it does make a rather pleasant sound when vaping. Other than that, save your money, especially if you already own a TFV8 Baby Beast. We have already received some feedback from our readers on social media regarding the dry hits, so it wasn’t just my experience. Taking longer puffs at wattages above 40 W doesn’t pan out too well. However, if you’re looking for a great RTA that’s also compatible with pre-built coil heads, it might be worth considering. Once you install your coils and wick it up, the flavor is incredible. I could crank this badboy up all the way to 70 Watts with a 0.38 Ohm build, and chain vape it without fear of a dry hit. What has YOUR experience been with the X-Baby? Have you tried it with the RBA-section yet?